Guess what today is! The first day of Children’s Book Week. Sponsored by Every Child a Reader, the goal is a week-long celebration of children’s books. Why? Because books and literacy change lives. Established in 1919, Children’s Book Week is the longest-running national literacy initiative in the country. Every year, events are held nationwide at schools, libraries, bookstores, and more. The event in my area is in a library. A library. I’m lucky because there are well several dozen libraries in three separate library systems in my area – St. Louis City, St. Louis County and St. Charles. Check out this map to find an event in an area near you. Don’t see an event in your area? Pffft. Make your own. Step 1. Visit your local library and check out some children’s books. Go with tried and true favorites as well as new titles. Step 2. Read. You can read on your own or you can read aloud to young readers and prereaders. Imagine the joy of turning someone else on to a great book. Step 3. Now have some book-based fun. This could mean doing a craft inspired by the book, writing a poem based on the book, or acting it out. Discussions, songs, plays and more. There’s no end to what you can do. And then? Step 4. Read some more. Obviously, I’ve kind of got a thing for children’s books. So this week I’ll spend some time writing about my favorites and how they’ve inspired and informed my work as a writer. I’ll also be tweeting about children’s books this week. You can check out my tweets here. And if you tweet or blog about children’s books this week, be sure to comment with your link below so that we can fall in love with new or new-to-us children’s books. Let’s celebrate. Sometimes I outline. Sometimes I pants. Admittedly, I pants most often on short pieces, especially nonfiction. Longer nonfiction has an outline but it isn’t very complete. I am definitely outlining my current fiction project because it is a mystery and an adult mystery at that. There is no way I’ll manage to keep it all straight without an outline. So how do you go about creating an outline in 5 minutes? You don’t. Instead you work on it in 5 minute increments. It isn’t as hard as you might think. I just completed #2 below and I already have 15 scenes. Do you have the turning points or big moments in your story? Jot those down in chronological order. Do your turning points have complications? Add those in at the appropriate points in time. What about things that happened before your story? The essential bits of character back story. This can help you determine why one character doesn’t trust another and, essential in a mystery, the reasons for all the mistrust. Go ahead and jot those scenes down too in the order in which they happened. No, they may not all become scenes but that’s okay. Keep track of them along with your scenes. Take a good luck at your pivotal scenes. What is likely to happen before this? After this? Write it down. In my case, I’m working on a mystery. I need to add the murders events in as well as they fit within the larger timelines. No, I may not write any of them up, but I need to keep track of them within the larger structure. Starting from the top, see where you have too great a gap between one scene and the next. Ask yourself questions to fill them in. Admittedly I have a love/hate relationship with outlining fiction. I worry that it will destroy any spontaneity but I also have to acknowledge that especially with a mystery this is essential. Writing Habits: Where Do You Work Best? Monday, I met with a teen book club. This was an online meeting in part because they live all over the country. Parents and teens sat in on the meeting and asked a wide variety of questions. Although the focus was Black Lives Matter, several of these young readers also want to write. One of them asked me where I work best because, you know, some people like to write in cafes. It wasn’t until after I answered the question and saw his mother’s reaction that I realized it was a bit of a set up. Yes, I know people who love to write in coffee shops and cafes. Hip hip hooray for them. I am not one of these people. No. No. No. I have to be in my office, alone if possible. In a cafe, someone will walk past and I have to look up. Hmm. Interesting sweater. That’s a nice looking dessert. I wonder what it’s called? Do they have any more? It really doesn’t take a whole lot to distract me. Then his mother started laughing. Oh, I see. The teens had been making a play that tv and music and people aren’t a distraction when they do their homework. Sorry. I didn’t help your case. But that’s my reality. I’m easy to distract. That said, when I focus I pull off amazing things. I wrote about 13,000 words in one week. I did not do it in a cafe or coffee shop. I can pop through a page every 20 minutes or so if I have the information I need. It takes longer if I have to look something up and then I’m also risking distraction. But I write hard and fast and then . . .
Shh. Exhausted writer at rest. I know this isn’t how everyone works but I know what works best for me. You? Maybe you do best in cafe or an airport. It is always exciting when a new imprint opens its doors. W. W. Norton is adding an imprint specializing in young people’s books. The publishing director of Norton Young Readers will be Simon Boughton, formerly Senior Vice-President and Publishing Director, Macmillan Children’s Publishing Group. The launch date has yet to be set and the inaugural list is still being developed. When asked what they will publish, Boughton emphasized that one of Norton’s strengths is nonfiction. He will be looking for both new and established authors with strong voices and fresh ways of thinking. I have to admit that I’m a little excited about this. While there are many amazing books already on the market, Norton has a reputation for quality. Norton has printed the occasional book just for young readers. So many of us who are writing today read from their anthologies and readers and paged through books of folk tales. And of course there were my college text books in anthropology and history. I for one am eager to see what they bring into print. See W. W. Norton’s press release here and click through here to read a much longer article in PW. Week One: Which Market Is Which. One of the most difficult aspects of selling your work is figuring out who wants what. This week includes an overview of markets and how to do your own market research. Week Two: Choosing and Narrowing a Topic. Students learn to evaluating possible topics and narrow them in order to slant your work to fit into a competitive market. Week Three: Evaluating and Selecting Sources. One of the most common questions that I’m asked is how much research you need to do. This lesson will guide students through research including learning about source bias as well as information on primary vs secondary sources. Week Four: Interviewing Sources. No matter how much research you do, you won’t always find the information that you need. When and why to do an interview as well as how to write your own interview questions. Week Five: Preparing Your First Draft. This lesson focuses on creating the first draft including whether or not to outline your work, how to tell if material is age appropriate, and using fiction techniques to enliven your work. Week Six: Refining Your Manuscript. No piece is ever perfect in just one draft. How to create the final manuscript that they wanted to create all along. Week Seven: The Icing on the Cake. Sweeten the deal for potential editors with sidebars and activities, photographs and more. Week Eight: Completing the Package. The cover letter, query letter, and proposal. In addition to lectures, each week includes an assignment which I will review. This means that I will be giving feedback on your bibliography, rough draft, final draft, query letter and more. Find out more about the class here and do let me know if you have any questions. Yesterday was Earth Day so it seems especially timely that the two books I am writing for ABDO are science related as is the one I’m revising for Millbrook (animal coloration) and the one I’ll be workshoping at the retreat (geology and caves). I’ve done some writing about conservation and recycling but lately I seem to be focusing on other science topics. Everyone locally is super enthusiastic about our school district’s new gifted academy which is a separate facility that focuses on STEM. Kids love science. They love measuring and mixing. They love chemical reactions in the form of cooking. Animal observations, dinosaurs, fossils and sprouting seeds. They’re all great when your four. But somewhere along the line, many of us decide that science bores us. Somewhere we forget that we love dinosaurs and rocks and chemical reactions. Some adults love science too. These were all taken in our family room. From preschool when my grandad gave me a geology specimen bag to today, I just keep on geeking along. And if I have my way, I’ll be warping a few young minds into continuing their love of science as well. Hi Everyone. I hope you’ll forgive the super-short post today but I have a book due and everyone in the household has been sick. Everyone. We are on the mend but I’ve got to finish proofing my manuscript. It is time to cast your 2nd Round vote for the Crystal Kite award. If you are an SCBWI member, the Crystal Kites are voted on by your peers, fellow authors and illustrators. 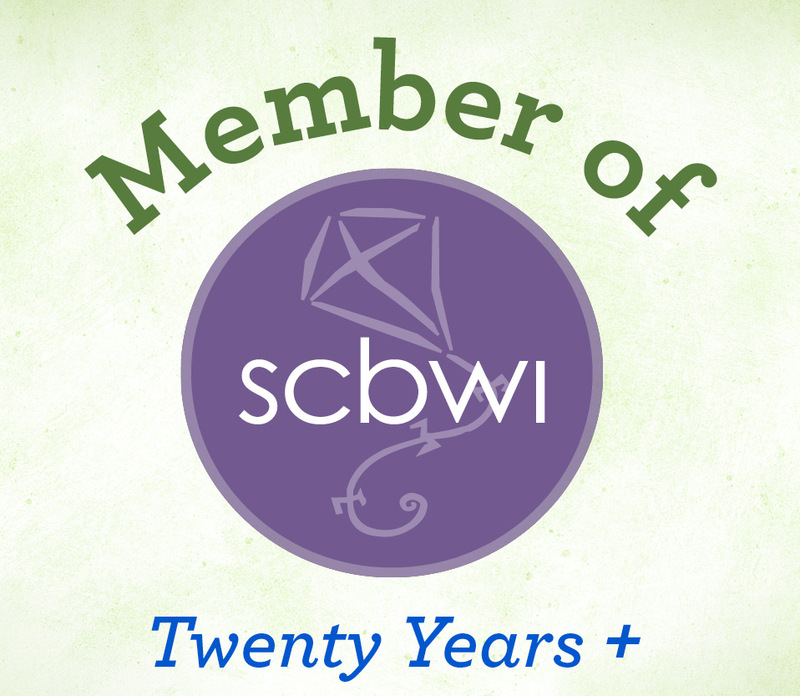 There is an award for each of the 15 SCBWI regional divisions worldwide. Round 2 voting ends April 30. 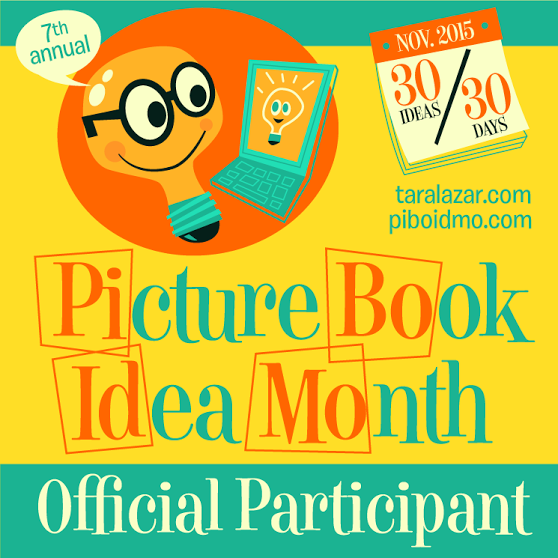 To vote, go to the SCBWI site and log in. You have to be logged in so this step is important. Click “My Home” at the top right corner of your screen. This will automatically take you to the correct region. I’m in Kansas-Missouri which is part of the Mid-South. You can scroll down the page and click on “More Info” to find out additional information on any given book. You can sort the books by Title, Author Name, or Illustrator Name. Once you have decided which book you want to vote for, click on the “Vote For This Book” button for the book you have chosen. You will be asked to confirm your vote. That’s all there is to it. Now if you’ll excuse me, I have to go decide which book to vote for and it is not going to be easy. Recently someone asked me how much research I do for a book. Really, it all depends on the topic. My current book, which I can’t discuss in detail just yet, is STEM title. I have 142 sources but part of chapter 2 has been giving me a hard time. The topic is full of medical jargon and I thought I had figured it out, but my husband wasn’t sold. He’s my first reader and the paragraph just didn’t hold together. So today I called a friend. He’s not a writer but he is a nurse. He’s my go-to source for all things medical. Diet and nutrition? One of the women at our church writes and tests recipes for the cooking show sponsored by a local grocery store. Economics? My husband has a degree in finance and is a cost analyst. Engineering? It depends on the type. For some things I go to an electrical engineer who was friends with my dad. Aeronautic? My brother-in-law. Chemical? My son. If I don’t know anyone who specializes in whatever is confusing me, I start looking for museums, state parks and universities. I’ve contacted biologists, geologists and more. I even contacted someone who was quoted in an article I used as a source. “This is what you are quoted as saying. What did you mean by this part right here?” When I explain that I am a children’s writer, people are generally willing to help. You can’t write about something if you don’t understand it. Be willing to approach someone and ask for help. So many people will share what they know if it means they have the opportunity to educate young learners. I can’t believe that the month is half over and I just realized it is time for the second annual Reading Without Walls. For those of you who are unfamiliar with this program, author Gene Luen Yang challenges young readers, educators, librarians and booksellers to read beyond their comfort zone. This can mean several things. Read a book about a character who doesn’t look or live like you. This one could be interpreted in so many different ways. Read a book about a character who lives in another culture. For someone who lives in a big city, it could mean reading about someone who lives in a rural setting. Religion, sexual orientation, geography, class and ability can all play a part in diversity. Recently I’ve read The Prince and the Dressmaker by Jen Wang and Wonder by R.J. Palacio. Read a book about a topic you don’t know much about. Personally, I tend to interpret this as a plea to read nonfiction about a new topic. At the moment I’m listening to the audiobook The Woman Who Smashed Codes: A True Story of Love, Spies, and the Unlikely Heroine Who Outwitted America’s Enemies by Jason Fagone and I read Wooly by Ben Mezrick. Maybe you could pick up a STEM book or a book about history. Read a book in a format that you don’t normally read for fun. For me, this one is kind of tough because I read so widely. I do not read e-books for fun because I use them in my research. But I listen to a lot of audiobooks and read print books for fun. Every now and again I push myself to read a graphic novel. It just isn’t a form that I adore but every once in a while someone describes one that sounds interesting. I really liked Hereville: How Mirka Got Her Sword by Barry Deutsch. Novels in verse are another good choice. I hope you will take the opportunity to participate. There are so many great books out there although we might need a bit of a nudge to pick up some of them. SCBWI members have through this month to submit their work to Alexandra Penfold, an agent at Upstart Crow. So I’ve read up on Penfold and I love so much about her. She represents fiction and nonfiction. She’s an agent and an author. She represents picture book authors as well as people who write children’s novels. Cool, cool, cool! So I logged onto my library’s catalogue and started requesting books. I requested four that she wrote and three that she repped. First I read the books that she wrote. She’s a picture book author so I could do this in one sitting, especially since only three had come in. They were all really sweet. Maybe that’s not the word she would use, but that would be my one word description. The fourth book she’d written came in and so did the three she repped so I sat down to read again. These were less sweet but still very “awww!” Again, this isn’t a judgment call. Just a description. But the problem is that absolutely nothing that I’ve written could be described as sweet. Clever, yes. Surprising, yes. But not sweet. As much as I like her books, I just don’t think we’re a good match. But still I’ve been tempted to send her my work. I really want an agent. Fortunately, I met to agents that I think would be a good match at the KS-MO SCBWI Agent Day. One of them even recommended another agent for my work, someone she thinks would be a good match. So that gives me three agents to approach. And that might be why I have the guts to pass on Penfold. We just have different sensibilities. I want an agent who gets my work, really gets it. Still, I really liked what I saw of Penfold. She’s a top-notch agent so if your work is sweet or touching and you’re a SCBWI member read some of what she’s written. Read what she’s repped. See if she’s the right match for you.